Hair System is an ultimate non-surgical alternative to expensive and evasive hair transplantation and potentially harmful or even dangerous chemicals developed to restore hair growth. Hair System dramatically improves the lives of the persons traumatized by the devastating effect of hair loss. These people have restored self confidence as they look younger and healthier again. They also notice to get their inner balance back thus improving their self esteem which in effect radiates through their entire body. This projects to the world the image of the healthy, happy, confident and positive person ready to face the challenges and conquer them all. Virtually invisible and undetectable Hair System is produced in Hollywood, LA, CA by the company serving the needs of the hair loss community for over 30 years. The company has developed a patented, non-surgical procedure that assures a naturally appearing front hairline that can be styled and parted anyway you want to reveal a realistic scalp that blends with your own. Or you can cover entire scalp area. 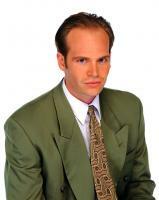 All styles are possible and you can comb your hair back and away from your face, exposing the entire hairline. Hair Systems is neither a wig nor hair transplantation surgery. It has a specially made foundation (specifically selected to match your type of activities, lifestyle and skin tone) which is placed over the balding area of the head with hair that has been placed into position on the foundation by hand, one hair at a time. 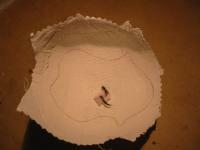 The material chosen to make the foundation is fitted into the plaster mold of the head, indicating the bald area, to make it fit perfectly. When the foundation is correct the hair is then inserted in the foundation using a small tip curved needle with a microscopic fish hook cut in the end of the needle forming small patented knots of 1 – 2 hairs per each knot only. The attachment of the Hair System is revolutionary as well, as the researchers produced special waterproof and biologically safe double sided adhesive tapes, which secure the Hair System firm in position. It can be on land, in the air or deep under the water - the Hair System stays securely there – allowing the client active life and pursuing of various sports including football, volleyball, horseback riding, surfing, swimming or even scuba diving. Technology in the area of the Hair System has really advanced allowing the client to choose one's own color, length, quality and form of hair. We normally use only high quality European hair in its natural virgin state … never dyed, treated with chemicals or permed. The client can select any other color he/she desires and we can match any photo he/she shows. The life span of the Hair System can be 2 to 8 times longer than of wigs – and can be as long as up to 4 years (which mostly depends on the frequency of use, your lifestyle and proper maintenance). The client’s portfolio of the company includes several celebrities from the world of entertainment and showbiz where the demand for perfection is at the highest. We are happy to have this opportunity to offer this product to the European market and we work close with the manufacturer to deliver the best. 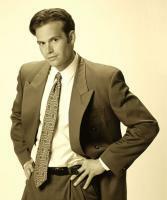 Hair System is the perfect solution for all types of hair loss for kids, teens, men or women. There are certain differences in designing of the hair line and the density of the Hair system and we know them all. 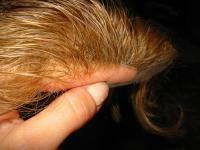 Dermatologists and plastic surgeons were amazed by the breathing / ventilation of the scalp under the Hair System. Only the very best Hair System in the world can offer such comfort greatly appreciated by clients especially during hot summer months or in hot climates. 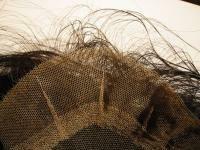 Sweat under wigs can in most cases cause a rash or even other adverse reactions. Hair transplantation surgeries can go wrong and lead to painful inflammations of the transplanted area causing reactions to temperature or various materials. Hair System is truly safe and there is no possibility that something can go wrong. Hair System gives you back a head full of hair and a completely natural look so no one will ever know what you are wearing. You can run your fingers through the system as you would do it through your own hair. No one will detect the difference – not even your friend or partner. The secret of our success is happy clients and we feel proud to give them back their natural look.